Go your own way with i40 Tourer, the most perfect car to express your individuality and preference. The i40 Series II offers un-compromised comfort for driver and passengers yet also presents exceptional versatility in seating, storage and load capacity. 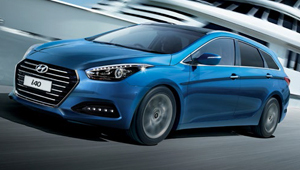 It commands a striking and individual presence on the road that makes a lasting impression. 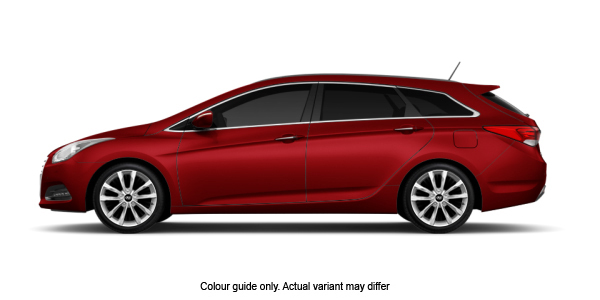 With its bold confident looks and aerodynamic styling cues, the i40 Series II Tourer is beautiful and practical. The careful selection of premium materials, immaculate bodywork and uncompromising build quality, ensure that your pleasure of owning and driving an i40 Series II Tourer extends long into the future. 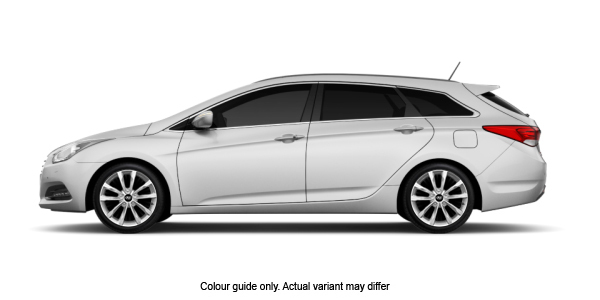 Exclusive to the i40 Series II Tourer, the following high-end inclusions demonstrate Hyundai's determination to create the best possible driving experience. 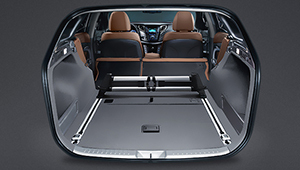 The Smart Tailgate^ offers hands-free functionality, automatically opening the power tailgate when the proximity Smart Key is within 50-100cm of the boot of the car for three seconds or more. ^Available on Premium model only. Step inside the i40 Series II range and it's immediately clear that the high-level design, workmanship and attention to detail that distinguish the outside have been carried through to the interior. The i40 Series II Tourer's beauty is complemented by technology-rich features that provide even greater comfort and convenience to the driver and passengers. 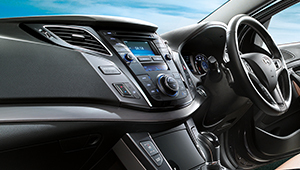 The i40 Series II range feature interiors that are characterised by the use of high quality soft-touch materials and smart ergonomic design. 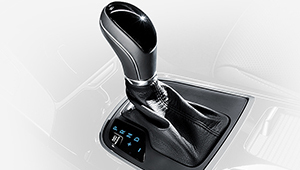 Space is maximised and every button, knob or control is logically placed and easy to use. Both driver and passenger seats are designed to provide maximum support for the longest journey, while your choices of trim range from smart, long-wearing woven cloth options through to the incomparable comfort of a premium interior. 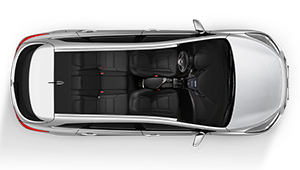 With the i40 Series II Tourer, 60:40 folding rear seats make it easy to include both cargo and passengers, and allow you to increase your carrying capacity from 506-litres to as much as 1,672 litres. Unsecured cargo can pose a threat to driving safety. The luggage net* provides a fast and easy solution, while a floor rail** helps keep your luggage safely secured. *Available only in Premium variants. **Available only in Tourer Premium variant. The two new-generation engine choices available in the i40 Series II range both deliver a smooth and quietly outstanding driving performance. 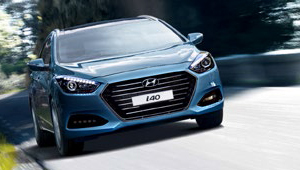 Long journeys are effortless and when you need to accelerate quickly, the i40 Series II offers a very satisfying level of passing power. A compact six-speed transmission and Dual Continuously Variable Valve Timing (Dual CVVT) help it achieve exceptional fuel economy for a vehicle of its size and class, while also reducing other running costs (Petrol only). Whether you're heading across town or taking off for a few days in the country, the i40 Series II range delivers a stylish and effortless driving performance. With more than enough power under the bonnet you'll always feel in command, and with the steering and suspension system fine-tuned for Australian conditions, you'll reach your destination feeling relaxed and refreshed. 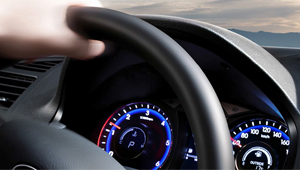 At Hyundai, safety begins at the design stage of each new vehicle and carries through every element of its engineering and production. 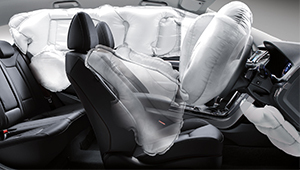 Combined with a high-tensile strength steel applied to safety-critical areas, to numerous airbags as standard, through to the inclusion of the latest driver-assist technologies, you will always feel confident when driving a Hyundai. 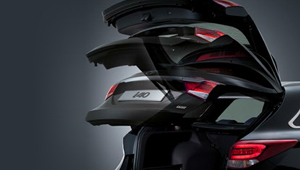 The i40 Series II model ranges have been designed to achieve the maximum 5-star ANCAP safety rating.